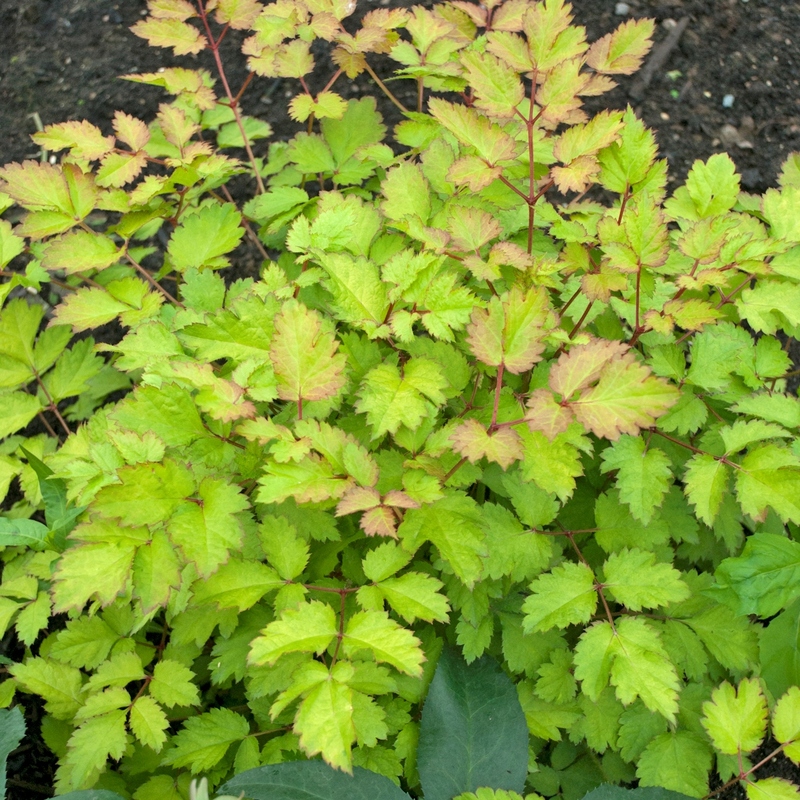 Astilbe chinensis 'Amber Moon'. 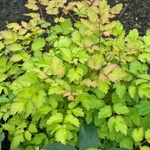 Unusual yellow foliage. In spring the margins of the leaves have a thin red edge. Some direct sun brings out the best color. Rose-pink flowers appear mid season on stems blushed with red. Tolerates some dryness better than most other varieties. PP#26028.